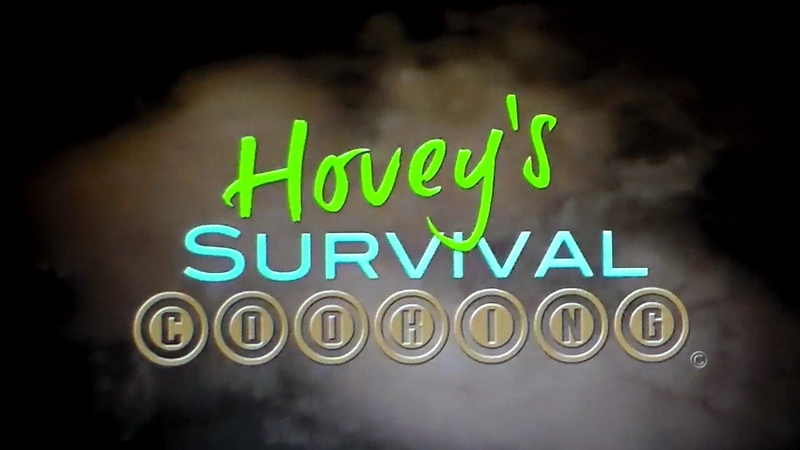 After producing 60, 1 to 2-hour episodes of Hovey’s Outdoor Adventures on WebTalkRadio.net, the last episode from the 2013 Shot Show was posted in February, 2013. This show featured interviews with 15 venders at the Shot Show and covered everything from AR-products to Women’s hunting clothes. A detailed description of the show with photos may be found on my Hovey’s Outdoor Adventures Radio Show Blog at www.hoveysoutdooradventures.wordpress.com. The reason that the show was ended was not because of lack of listeners (about 25,000 a week and approaching 0.5 million over the life of the show), it was the lack of sponsor support. Concurrent with the radio show I had been producing YouTube videos which included five from the Shot Show. 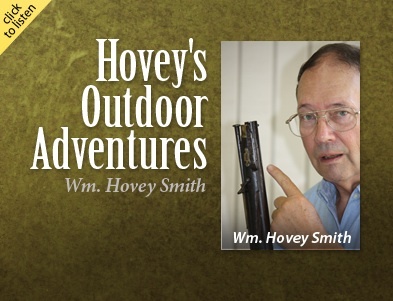 There are 210 on the wmhoveysmith YouTube channel at present and more in production. Some of the more recent include my continuing series on the blunderbuss. This historic style of gun is now being re-finished in preparation for turkey and deer seasons. Young Blunderbuss now sports a new wooden stock comb to adjust it to shoot to the point of aim, a new finish and will have a black matt nitride finished barrel from H&M Metal Processing. My objective is to see if it can take deer and hogs this year and earn its new name of “Wonderbuss.” At present the more appropriate name is “Wounderbuss,” as its 1-ounce load of mixed Hevishot and steel shot wounded a swan this year that I had to chase across the pond and finished off with a Mossberg Model 500. 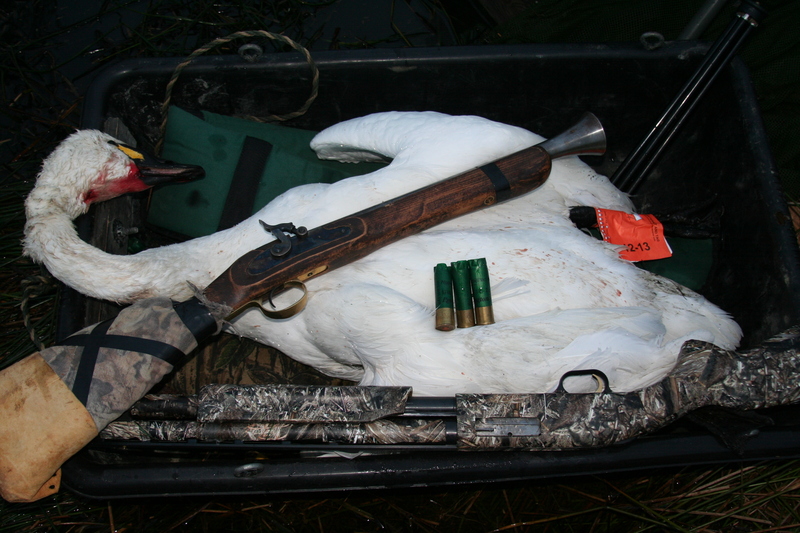 Blunderbuss and Mossberg take joint credit for this swan. This failing was mostly my fault, because I took a shot with the gun at the last swan from the last flight on the last day of the 3-day hunt at a range that was outside of the gun’s sure-kill range of 25 yards. These huge swan are challenging for any shotgun, much less one shooting the equivalent of a 1-ounce 20-gauge load shot from a cylinder-bored gun. This gun will shoot .54-caliber balls into 4-inch groups at 25 yards. It was also not entirely its fault that it missed a 20-yard deer because the ball had rolled out of its barrel and had similar poor results on a hog that was even closer when the barrel-retaining screw dropped from the barrel, which gave a new meaning to the term “free-floating.” Both shortcomings have now been corrected. It was also put in the presence of game last year when we found a nice buck that had died from unknown causes on one of our hunts. The gun has gone through its growing pains and now that it has reached young-adult status and is ready to take on serious game-killing with the approach of turkey season. I just have to get it close enough. “Wonderbuss” it may become, but not yet. Within about a month the first two of an E-book series, Muzzleloading Short Shots Books 1-8, will be available in all E-book formats. 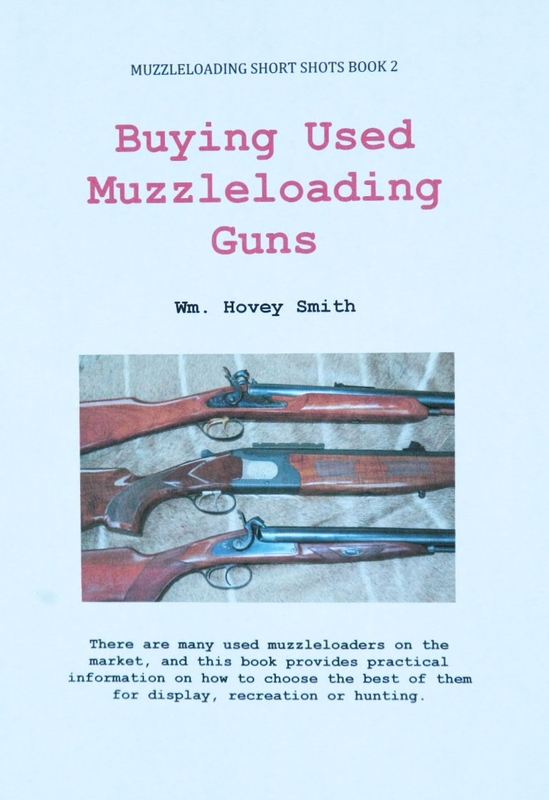 The first title is Muzzleloaders for Hunters and the second, Buying Used Muzzleloading Guns. Others in this series will be Shooting and Maintaining Your Muzzleloader, Hunting with Muzzleloading Shotguns and Smoothbore Muskets, Hunting Big and Small Game with Muzzleloading Pistols, Hunting with Muzzleloading Revolvers, Muzzleloading Guns for Self Defense and Building Your Own Muzzleloader. These restricted-topic E-books are designed to provide fast, to-the-point information on their topics with candid comments on the favorable, and unfavorable aspects, of some of the many muzzleloading guns that I have written about over the past 50 years. One nice feature of the E-book world is that I can be honest in expressing my opinions about these guns without having to worry that some editor would either re-write that section or cut out the article altogether. Other favorable features are that the prices of these books can be kept under $5.00, E-links can be provided to my videos and other books, the print may be enlarged so that anyone can read them, the books can be with you anywhere and they are instantly available to everyone in the world through an increasing number of devices. The present downsides are that the number of photos is restricted and publishing in full colour is still pricey. More information on individual books will be published as these are produced during 2013. Although my almost two years of radio on two different networks was not financially successful, my experiences with the network owner, Brad Saul, including pushing a TV Cooking Show called Survival Cooking. A pilot was produced which is may be seen on my YouTube site at: http://youtu.be/qj6vCzpplKg. Despite much work and acceptance by a number of networks, we were not able to bring this to a sufficient audience to meet production expenses. I am now being approached by others to participate on their outdoor programs, and it is possible that I may yet be on TV. In the meantime, my YouTube videos are getting progressively better with more content and variety of subject materials. My absolute worst was one from the Shot Show with Davide Barnett where I did not capture the sound with my recorder, but had to rely on the mike in the camera working in an extremely noisy environment. The set was also strongly back-lit which made us appear quite dark. With the use of extracted still shots and a voice-over I managed to nonetheless convey some useful information on Barnett’s three new crossbows, but it was a real stretch to salvage anything from that experience. You can take a look at: http://youtu.be/PWaX4Oz75I0. The best recent ones are from the Riverbanks Zoo and Garden in Columbia S.C. at: http://youtu.be/Y44Yzvw0pXk and Thai-Orange Baked Striper at : http://youtu.be/jnYVZLC71WY. I also have a TV reality show concept that I do not want to produce, but could provide someone else with a very meaningful post-retirement activity, produce a show that would appeal to the nation’s largest demographic, be able to gather national sponsors and has sufficient appeal to be partly Kickstarter financed. This would be a logical fit for someone with TV experience who wants to have their own show and is willing to put in the 24/7 time commitment to make this project work. I know what it is, what it would take to provide successful content, how to finance the pilot and who the people would be to market it to the networks. I need a post-50-year-old TV guy or gal to host and produce it. If they have access to equipment and money, so much the better. This would probably take a minimum of $30,000 to bring off that would be split between production and marketing. I have two movie scripts in progress. One is a Christmas short based on my story, “A Visit from Auntie Thresa Claus” and the other is a full-length Movie, “Father of the Grooms.” The Christmas play is now in script form for production as either a 30-min. stage play or as a Christmas TV/Movie short of slightly longer length. “Father of the Grooms” has to do with a Louisiana engineer taking his two adult sons, accompanied by his entire family, back to Sicily to marry them off to some distant cousins who have Mafia connections. They have diverse adventures and the entire family ultimately escapes a vendetta thanks to the intervention of their gay uncle and an Irish priest. This is all interesting stuff, and we will see how it “plays out” now that I have sufficient time to work on it.